One of the traditional forms of financing a college education is savings. It is generally assumed that you will use saved money as part of your financial strategy for getting through college, and it is even possible (although difficult) to finance your entire education using saved money. This page will discuss some important tips on how to succeed in saving as part of your plan for college. Many people preparing for higher education rely solely on grants, scholarships, and loans, but none of those resources is as secure or easy to obtain as money in the possession of you or your family. Some prospective students worry that having money saved at college time will disqualify them for financial aid, but that is not necessarily the case. Remember, the less debt you incur in attending school, the sooner you can begin a debt-free life and enjoy the financial benefits of your professional education. Before you begin to save toward your child's education (or your own education), it is important to have a clear plan and well-defined goals in mind. For instance, how much will tuition cost by the time your child goes to college, adjusting appropriately for inflation? Which schools should be included in that calculation? And how much money would you like to save by the time you help your child move into a dorm room? A good way to start is to figure out the total amount you'll require and how much of that you can reasonably expect to save. If you decide to try to save this amount, you will then need to calculate how much you should put away per year, and then per month, toward your child's education. You'll find working toward an established benchmark makes it easy to measure your progress. Or, if you'd rather just aim at saving a large sum of money, come up with a percentage of your income with which you can consistently afford to part, then save it regularly as an investment in your child's college fund. If you make saving a habit, it will become painless. 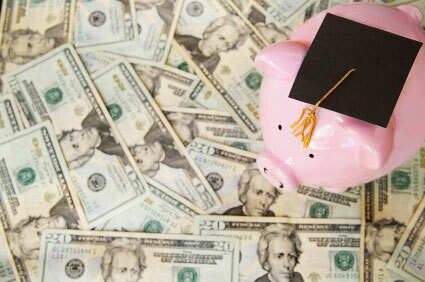 Contrary to popular belief, saving for college does not have to be an ordeal. If you approach it systematically, you'll find the process quite simple. Here are some ways to begin integrating a savings account into your routine financial life, so you'll grow accustomed to making regular deposits in short order. One of the biggest hindrances to any savings plan is waiting to start. Even if your child is just a baby, now is the very best time to start saving for college. There are no drawbacks to starting early, because that will not only benefit your child by setting aside a larger fund to provide a good education, but the early start will make it possible to earn more money on your savings through the miracle of compound interest. You may also consider setting up a custodial account to pay for college. You don't have to cut back on the essentials or eliminate entertainment from your budget just because you're saving for college, but you should evaluate your spending habits thoroughly. You'll probably find several areas in which it's possible to cut back, and those will be your sources of extra money. Or consider finding a part-time job and devote that paycheck to the college savings account. Remember, small financial sacrifices made now can produce large benefits in terms of savings later on. Setting up automatic deposits from your checking account into the college savings account will make it easy to adjust to the idea of saving money regularly. At intervals you specify, money will be diverted directly from your personal budget into your savings. The automatic nature of the process helps you establish the saving habit with no extra effort on your part, and removes the temptation to spend it. The old adage "Out of sight, out of mind" applies to automatic fund transfers. Another simple way to find money for a college account is to dedicate bill or loan payments to the savings account when your debt has been retired. When you make that final payment, continue to keep that money out of your personal budget by saving it. You have managed without the money to date, so you know how it's done. If you resolve to add it (or at least a portion of it) to the amount you save for college each month, you can gradually increase the total you save and watch your college fund grow. For example, when you finish your own student loan payments, put them not in your household budget but in your child's college savings account. There are many ways you can save for college that don't have to be difficult. Figure out what methods work best for you, design your own customized savings plan, and then stick to it!